Dr. Chanda Miles received her bachelor’s degree from Fort Lewis College in Durango, Colorado, in 1999. 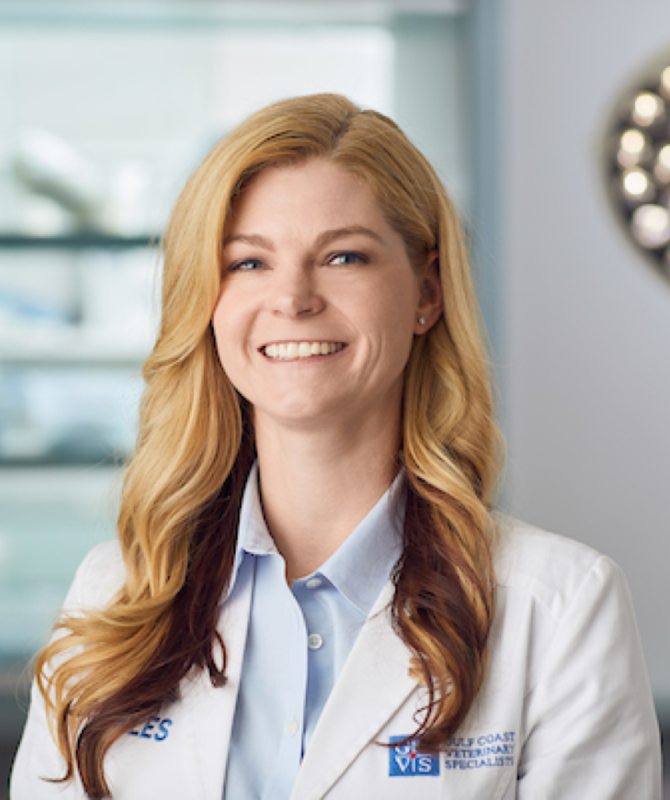 In 2006, she graduated from St. George’s University School of Veterinary Medicine and completed her fourth clinical year at Kansas State University. After graduation, she practiced as a general practitioner in Salt Lake City, Utah, for three years. During this time she developed a strong interest in dentistry, which lead her to pursue further training in it. Her residency and surgical fellowship were completed in 2012 at the University of Wisconsin Veterinary Medical Teaching Hospital in Madison, Wisconsin. She became a diplomate of the American Veterinary Dental College in 2013. Currently, Dr. Miles runs a thriving dentistry and oral surgery service at Gulf Coast Veterinary Specialists in Houston, Texas. Dr. Miles is originally from Austin, and is happy to be back in Texas with her husband, two children, black lab and sphynx cat. Dr Miles and staff were more professional than many human hospitals I have been to.